Cancellation Watch Tale of Two Shows: Freshman Series Agents of SHIELD Has a Huge Premiere While Returning Revolution Tanks. Plus, Person of Interest has Quiet Return. The 8 PM EST hour on Tuesday and Wednesday of this week had two very different results for sci fi shows. One of these exploded on the scene and could be establishing a major franchise, the other is sinking quick and could be taking its exit by mid-season. Marvel’s Agents of SHIELD had its debut on Tuesday night on ABC, and it lived up to all the hype as far as its ratings performance go (and I thought it was a pretty episode as well). The series nailed a 4.7 rating in the 18-49 demographic (based on the final overnight numbers) with 12.1 million total viewers. That is the highest premiere for a scripted drama on the broadcast networks in several years, topping the previous high from last year when Revolution bowed to a 4.1 rating. It’s still well off from the ratings heights that The Walking Dead arose to last season (that show pulled off a 6.4 score for its season finale), but for the broadcast networks these days this one counts as a major win (just as I previously predicted). 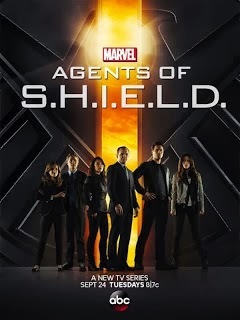 Now the fact is that Agents of SHIELD probably attracted quite a number of curious onlookers from fans of the comics and the blockbuster Avengers movie, and there’s a good chance this show could see a notable drop with its second episode or over the next few weeks. But it has plenty of leeway at this point and even if it did drop down to the low 3’s or high 2’s in the coming months, the show is probably still safe. And personally, I don’t think it will slide that much. I’m guessing that SHIELD levels off somewhere around a 3.5 score and rides that through the end of the season. And if that happens, don’t be surprised to hear ABC talking about a spin-off series landing as soon as next year or maybe a companion series that mines some of the other non-A-List characters from the Marvel universe (Daredevil, Power Man/Iron Fist, Nomad). At this point, I believe that SHIELD could be game-changer for sci fi on television and could have a significant impact on the direction the genre follows over the next few years (in just the last couple of days we have heard announcements of pending Gotham City and Constantine shows). That may seem like high praise for a series that has only aired one episode so far, but this show seems to get it (what do you expect with Joss Whedon guiding it?) and could very quickly become a torch-bearer for the genre (like The Walking Dead and Game of Thrones have been the last few seasons). Over on NBC on Wednesday night, we saw a very different story and there was probably a lot less celebrating (make that none at all) at the network for the 8 PM timeslot that evening as Revolution scraped up only a 1.8 rating in the 18-49 demo with 6.8 million total viewers (matching its series low point). Last year, that series was the network’s darling as it bowed to a 4.1 rating in the 18-49 demo, delivering the highest numbers for a scripted drama in years on the broadcast networks. But the series had fallen long and far by season end where it wrapped up with a score the same as what it pulled with its Season 2 premiere. NBC is partly to blame, for kicking Revolution out of its cushy, post-Voice timeslot on Mondays at 10 PM. But then the show was already underperforming by the time it returned from its (extended) mid-season hiatus, and The Voice lead-in didn’t seem to be giving it too much of a boost anyway. In addition, with the darker tone of Season 2, the earlier Wednesday night hour just doesn’t seem like a good fit (and I previously mentioned that this would likely be a bad move for the show). NBC had announced at the end of last season that Revolution had been renewed for a full 22 episodes, but that’s not guaranteed and they could very likely rethink that in the next few weeks (all of which I previously predicted). At this point, the show’s best chance is for its network to throw it a lifeline and re-schedule it to a better slot. Fridays at 8 PM would actually not be a bad move as that gives a pretty solid three-hour genre block with Grimm and Dracula bowing in a few weeks. But I’m not certain they will be willing to do that, with Revolution having held the status as such a high profile series (it was highly touted last season by them as a major hit). Unfortunately for fans of the show, it seems more likely that this one will follow the same route as other recent two-season-and-out sci fi shows like V and Touch, both of which started very strong then went on a death spiral into cancellation. Watch Revolution’s numbers closely over the next two weeks, but I can’t tell you there is any reason to be hopeful at this point. Lost in all of this is the rather quiet third season debut of Person of Interest on CBS on Tuesday night. That show bowed to a series low of a 2.3 rating in the 18-49 demo with 12.4 million total viewers. Fans of that show should not panic, though. The decision of CBS to move this one to a new timeslot impacted its numbers (just like with Revolution), but that should have been expected as it shifted to a typically low-performing hour. And Person of Interest is one of the few shows over the last couple of years that has experienced an upward trend with its ratings as its season progresses, so the numbers could improve. And interestingly, it actually outpaced Agents of SHIELD as far as its total viewers. That metric is not as important to sponsors who prefer the viewership in the 18-49 age range, but it holds some weight with CBS executives as they are less of a youth-skewing network. Plus, the series is in its third season, a threshold which generally assures a fourth season for broadcast network shows short of a ratings collapse (more on that at this link). The guys over a TV by the Numbers already tagged the show as sure to be renewed, and I would tend to agree at this point. Keep an eye on its numbers over the coming week, but don’t worry too much about it getting the axe as things currently stand. One closing note: that Tuesday 8 PM timeslot that Agents of SHIELD debuted into has become highly competitive now with ratings juggernauts The Voice on NBC and NCIS on CBS still holding onto a large chunk of the audience (and the FOX comedies scarfing up the scraps). In two weeks, the CW Vampire Diaries spin-off series The Originals moves into that hour (after debuting in the post-Vampire Diaries hour on Oct 3rd) and will be scrambling for the few remaining viewers. Looks like the odds are going to be heavily stacked against that one and The CW doesn’t have too many hours of programming they could re-shuffle that series to. More debuts are on the way next week beginning with Once Upon A Time on Sunday night. Keep an eye on the Cancellation Watch Twitter Site for the quickest ratings update and on this site for the latest analysis of how this season’s shows are performing. You can see the full schedule of Fall 2013 science fiction and fantasy shows with their premiere dates at this link as well as my preview/predictions at this link.